New Direction is back, and hotter than ever on their new release from Gospo Centric Records. Send The Praise. 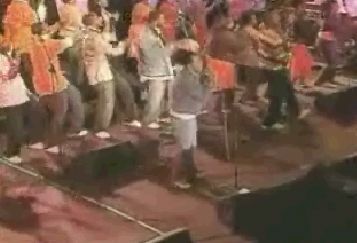 was recorded live in Chicago, and harnesses the power of this award-winning choir. Info below, and streaming video of the choir's smash hit from album, "I Came To Jesus", is provided here, courtesy of Gospo Centric. In an ocean of the ordinary, New Direction is a fresh new wave. The fact that the 35-voice ensemble-based in and around Chicago-defies easy, predictable categorization is indeed one of its greatest strengths, and its latest release, Send the Praise, is all the proof required. With a genre-bending mix of sounds-be it slammin' hip-hop jams, delicate ballads of praise & worship, smooth jazz or funky, retro/soul-New Direction approaches everything it touches with total commitment, in a voice that's fresh and exciting, and entirely its own. 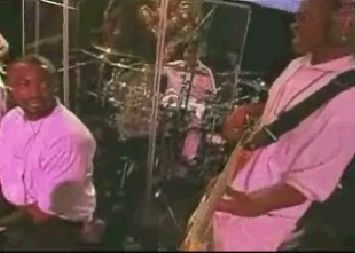 Originated by Jeral Gray in the mid-'90s, and then carefully sculpted by Jeral and his brother Percy, New Direction has always been about bringing the Gospel to the masses in the common language of music: accessible, anointed, and more times than not, just daring the listener to sit still in their seat. With a kicking, air-tight rhythm section, punchy horns and a choir that hits the ground already in high gear, the album-opening "You're Welcome Here" leaves no doubt that New Direction means serious business, welcoming the Holy Spirit's presence into the house. New Direction shows some rock-solid, Gospel/R&B chops as it lays down an irrepressibly funky, hip-hop groove to "I Came to Jesus," a high-energy shout of praise for Christ's gift of salvation. "Peace" begins gently, as angelic voices convey Christ's promise of strength in the midst of life's travails, before building into a dramatic, resounding anthem of reassurance. "Even in the midst of trials and confusion, being Christians and believing in God's word, give us peace," says Percy. "Whatever I'm going through, I'm never going through it alone, and I always know that I'm coming out." Percy and Jeral produce and do most of the writing for New Direction, whose ages run from late-teens to early-20s, and the two take delight in staying plugged into the cutting edge R&B and hip-hop of their young protégées, as well as turning them onto the classic soul that they themselves cut their teeth on. The meeting place of the two is a mind-blowing amalgam of old and new. "Fill Me Up" is a steaming slice of retro/soul with a hard funk edge and happening horns; a Sly Stone meets Earth, Wind & Fire, in a totally 2006 context. 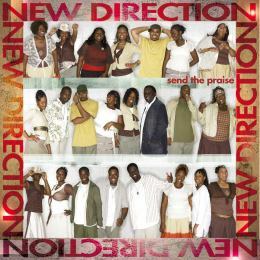 New Direction's "I Came To Jesus" is an energetic jam that shows the choir's power and finess. Check out the video stream! Click to view Video Stream. "Personally, I believe that some of the best music ever was written back in the '60s and '70s," says Percy, "so we take that same inspiration and put it through a modern mindset. The sound is totally contemporary, but that classic inspiration is still at the heart of it all." Another head-turner from Send the Praise is a completely jazzy, quiet fire reinvention of the classic hymn, "I'll Fly Away," that casts the old standard in a brand new, but no less powerful, setting. "I just love the arrangement and vocals on this," says Jeral. "It's an old hymn with a new twist musically, but the message hasn't changed a bit. When I leave this world, I'll say goodbye and fly away to a better place." "We live in a day where everything is so focused around prosperity," Percy adds, "but the Bible says the poor shall always be among us, and just because we don't have what the next person has doesn't exclude us from heaven. That says so much, and gives so much hope. And that's why it has endured over the ages." Jeral and Percy were born and reared in Chicago, where they still reside today, in a solid church-going, God-fearing household. Raised in a time when traditional Gospel was the order of the day in both home and church, Jeral found additional inspiration in the jazz and popular R&B albums which his older brother would slip into the house-including definitive works by R&B greats that included the GAP Band, Earth, Wind & Fire, and James Brown. 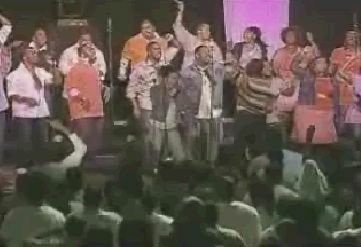 At the same time, gospel trail-blazer Andrae' Crouch was a major early influence, then later Commissioned, and the Winans, among a number of modern gospel's pioneering acts. Both brothers were naturally gifted musically, with Jeral first playing drums in his church at age seven, before later moving to organ and keyboards, and Percy a talented singer, arranger and writer. Though fluent in nearly any style of music, both Gray's always plied their craft in the Gospel arena. The first incarnation of New Direction came about in 1994, when Jeral was laid off providentially as it turned out from his job at a chemical plant. Searching for his own direction in life, he decided to turn seeming adversity into something positive. "I had been doing music part-time for most of my life," he recalls, "and I just felt a prompting telling me it was time to make that the focus of my life. I didn't know what to expect, but I followed that word, and I've never looked back since." Seeing a huge metropolis full of talented young Christian musicians, all seeking direction for their God-given talents, and feeling a personal call to minister to youth, Jeral set about the formation of the ensemble that would soon become New Direction. "We put out the word that we were looking for talented, enthusiastic young musicians, because I knew that young people in music ministry would draw more young people into the church, and that's exactly what happened." With three hit albums, and multiple Stellar and Grammy Award nominations already to their credit, Send the Praise stands poised to carry New Direction to even loftier heights. But with a both an excitement and calm self-assurance that's characteristic of the Gray brothers, each holds visions and dreams for New Direction and the future that are very much of one mind. "We just love what I do," says Jeral. "And at the end of the day all that really matters to either of us is, `Did anyone get touched by this? Was it a blessing and an inspiration in their life?' And if the answer is, `Yes,' well, we feel like we've done our job, and that both the Lord, and the people, are pleased with it." "Even when I was punching the clock, on a nine-to-five job, and music was a sideline, I always found joy in using those gifts to bless God's people," Percy concludes. "That hasn't changed, even though now music is also our business. Anytime you can do something for God, it's a blessing, and an honor, and a privilege. And the joy is still there. That's never changed a bit."